Instantly recognisable, Amanda Popham’s bottles and vessels are the product of a lifetime’s devotion to drawing as a means of expressing an idea or emotion and to the tradition of ceramics itself. From the earliest years of her art career she has had an ever-widening circle of collectors for her idiosyncratic and fantastic pieces. 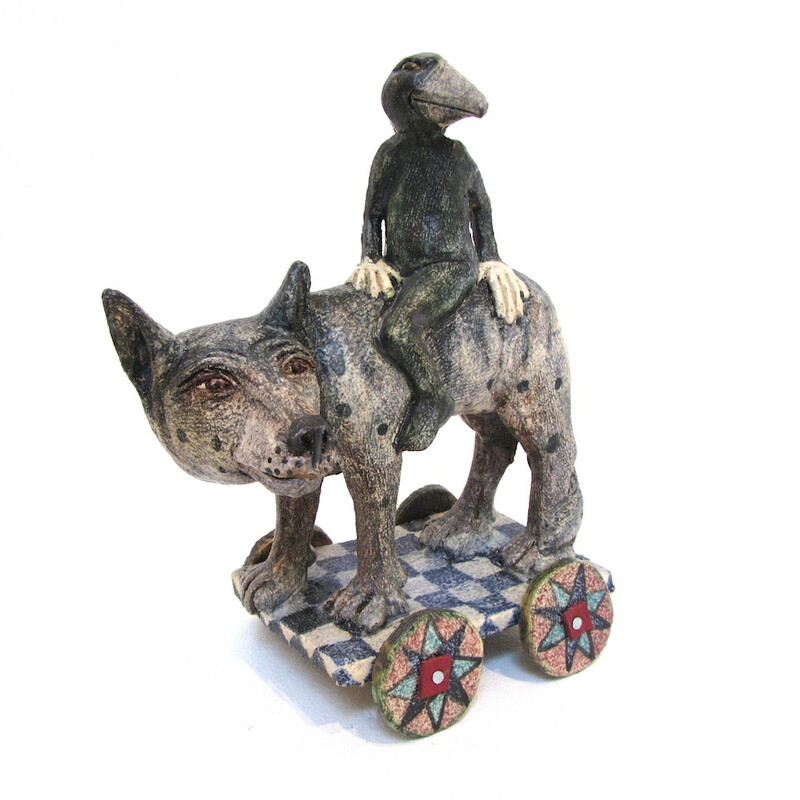 Amanda studied at a thrilling time for those working in the field of ceramics and studio pottery. Old rules were being broken and a drive for experimentation at every level gave Amanda and her contemporaries a buzz for pushing boundaries, letting their imaginations drive their work rather than restrictions of the material they were working with. At the Royal College of Art in London, Amanda Popham came into contact with a wealth of inspirational artists that increased the sense of what could be achieved. Eduardo Paolozzi was on the teaching staff and just a couple of years ahead of Amanda; recently graduated from the RCA themselves, pioneers of the new spirit in ceramics, Jacqui Poncelet, Alison Britton and Glenys Barton returned to the college as visiting lecturers and with them they brought a breathe of what people dedicated to their art, and to discovery, might be able to realise. Amanda's ceramics are gently coloured and textured, immediately accessible though still sustaining a sense of mystery and story. 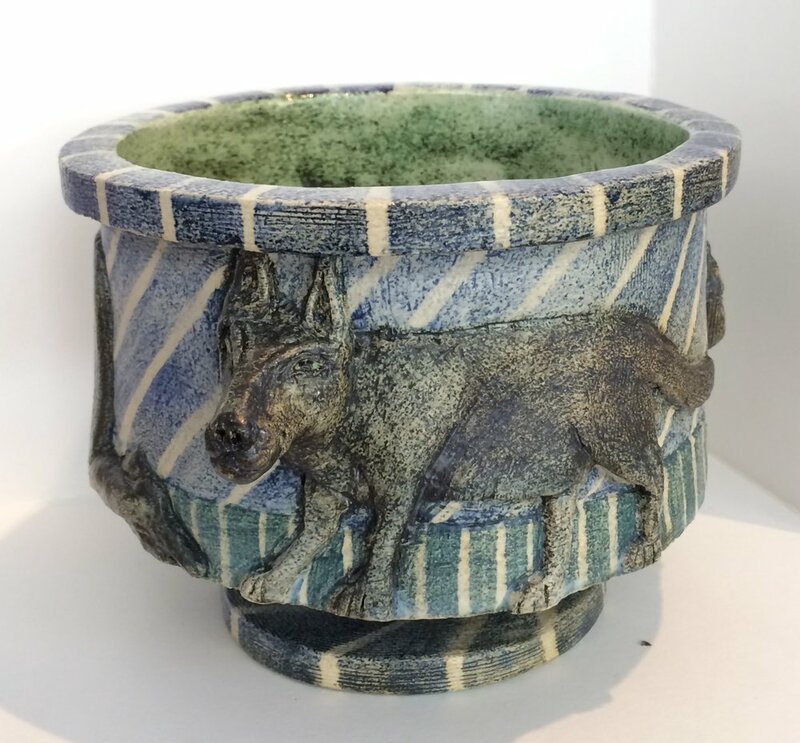 She has exhibited at Liberty of London as well as other private London galleries and is a member of the Devon Guild of Craftsmen.